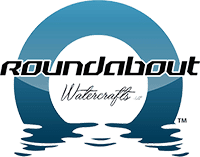 Need to register your new Roundabout Watercraft? Registering your new Roundabout Watercraft will verify your ownership and activate your personal support system. Simply register/login above, then fill out the form below, click submit, then get on the water and enjoy your new Roundabout Watercraft!